Here’s the situation. You run a startup. You have a website. 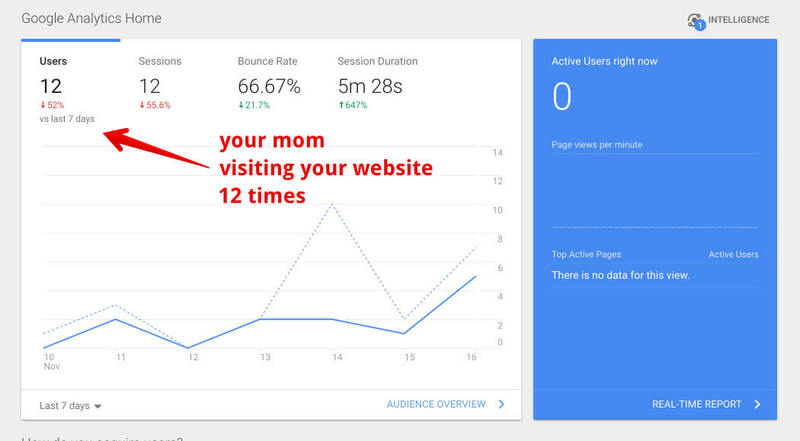 And your website has basically no traffic. Like any savvy founder, you’re clear on one thing — you need traffic to your website. Somehow, someway, a viable online business requires humans seeing, using, or buying the widget or service you’re selling. So, how do you get that online traffic, especially if you’re starting in at ground zero? You have a few options. Facebook ads. Google Adwords. A big PR stunt. Most of the time, content marketing takes a lot of time and a lot of money. Many startup founders I’ve consulted with tell me that they want to grow fast, so content marketing is not their growth method of choice. Why? Because, they say, content marketing is a long, slow ride to building traffic. There is a way to massively boost your website traffic fast by publishing a single blog article. 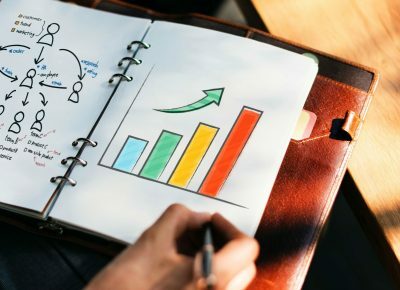 Here’s the quick and dirty: By creating one powerful, linkable, long-form article, your website can, in two weeks, receive a massive traffic spike, a high volume of social shares, and a steady influx of unique visitors. And this is where I need to address those “too good to be true” eyebrow raises that you’re giving me right now. Yes, it sounds like an incredible claim — take your website traffic from zero to thousands of visitors in the course of two weeks. You have every right to be skeptical because you’ve probably read sensational, clickbaity pablum like this before. Give me twenty minutes of your time. I’ll show you how I did this in the past, provide you with proof that it works, and explain exactly how you can make it happen. This article isn’t a “10 amazing tactics you have to try!” Listicles are fun, but they’re not always helpful. I’m giving you one way. Just one. Why? Because it works. You don’t have to throw mud at the wall. You just have to follow these steps. Let me show you how this method has worked in the past. One example is an ecommerce startup selling swim gear. They experienced a 1,600% traffic increase in just one week. On August 2, they had 575 website visitors. Over the course of a week, they soared to 16,543 visitors. Here’s another startup that had an upsurge in traffic over about the same period of time. They went from a few hundred visitors a week to nearly 2,000. Modest gains, but gains nonetheless. The startup below had some existing traffic from some low-level blogging that they were doing. Notice how their traffic began to pick up in January with the launch of the method that I’ll explain. They were able to sustain the high level of traffic for the long term. Traffic is nice. But what about other KPI improvements? Let’s use backlinks as an example of a significant KPI. One startup I worked with, a marketing automation SaaS, launched their blog with an ultra long-form linkable piece, just like I’ll show you below. Notice what happened in late 2014 when they started this initiative. Inbound link acquisition soared. Why the charts and graphs? To show you that this works. I’m holding nothing back here. I’m handing over step-by-step detail. I explain where to go, what to click, and how to roll this plan out on your website. Overview: In this step, you will identify what your ideal customer searches for when they are interested in your product or service. Yes, it’s kind of basic marketing stuff, but this is important. To get started, let’s start with a simple exercise. Answer these three questions. Who wants or needs it? What will they search for (i.e., Google) to find it? 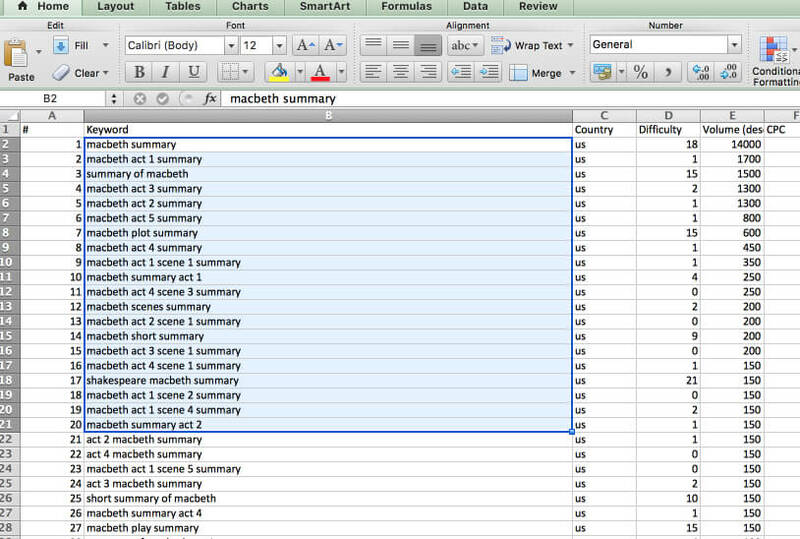 As an example, consider a startup that provides translations of Shakespeare plays. High school or college students can purchase full translations or study guides to help them in their literature classes. 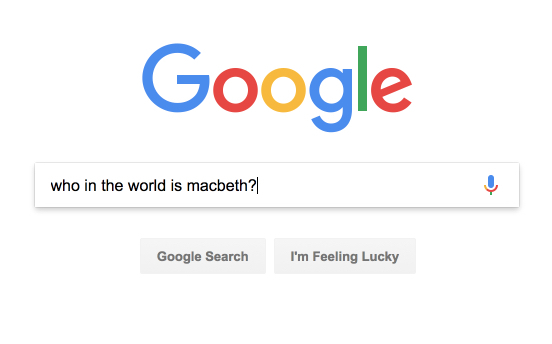 Let’s go through the three-question process with this Shakespeare product in mind. What is your product? Translations of Shakespeare’s works. Who wants or needs it? Jed. Jed is an Internet-using, English-speaking high school senior who cares about getting good grades in his literature class. What will they Google to find it? Um…. This is where you might feel stuck. Usually, there are dozens of things that a potential customer would search for. Open up a Google Sheet for yourself, and write down anything and everything that comes to mind. All that you need to do in this step is figure out what people are looking for online. Be willing to write down a whole bunch of ideas. Don’t hold back. Let it all out. We’ll sort everything out in step 2. Once you’ve written down a list of ways that people might be searching for your product or service, it’s time to move on to the next step. 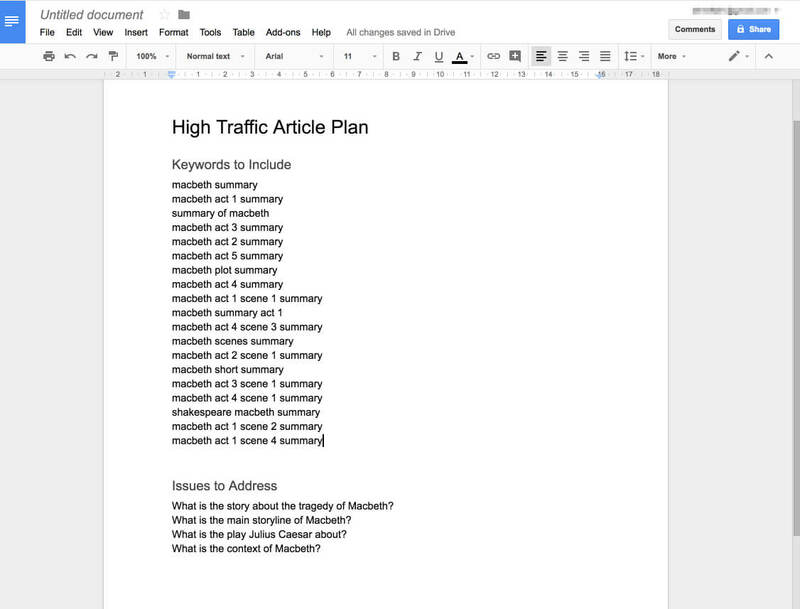 Overview: In step two, we’ll find out exactly what your single article is going to be about. But we don’t pick anything at random. We do a data-driven search for the absolute best. At this point, you should have a list of things your customers might search for. These are called search queries. Now, I’m going to recommend that you use an SEO tool called Ahrefs. It’s worth the $99/month, but you can sign up for a free trial for the purposes of this article. 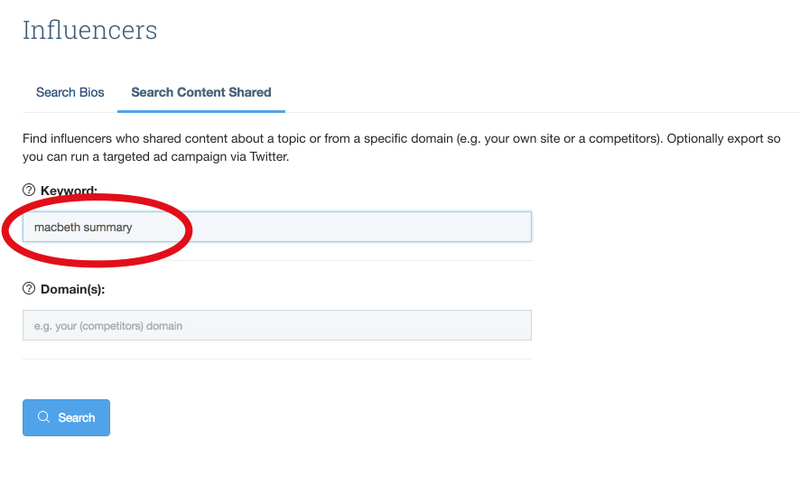 Copy and paste your list of possible customer searches or queries (from step 1). Click the orange magnifying glass button. Sip coffee, and wait for it…. The data you see is called keyword data. It provides all the relevant information about who, when, where, and how many people are searching for those terms. All the information can be bewildering but don’t freak out. I’ll tell you exactly what to look for. 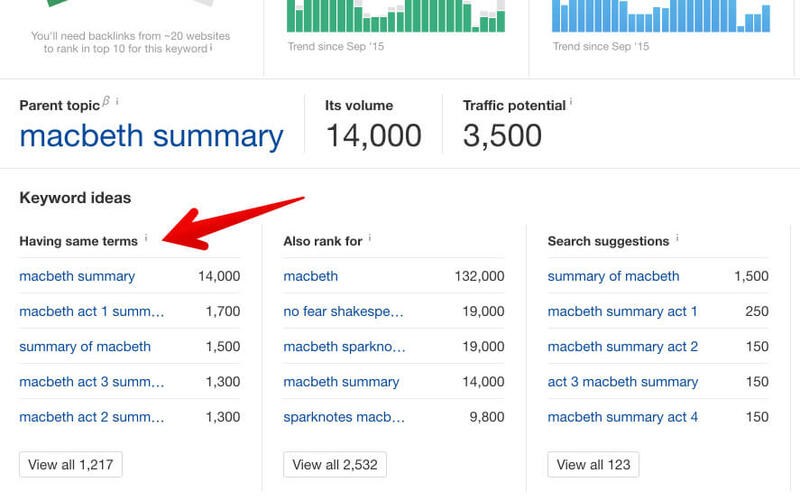 In the chart that appears, identify every keyword that contains a volume over 1,000. 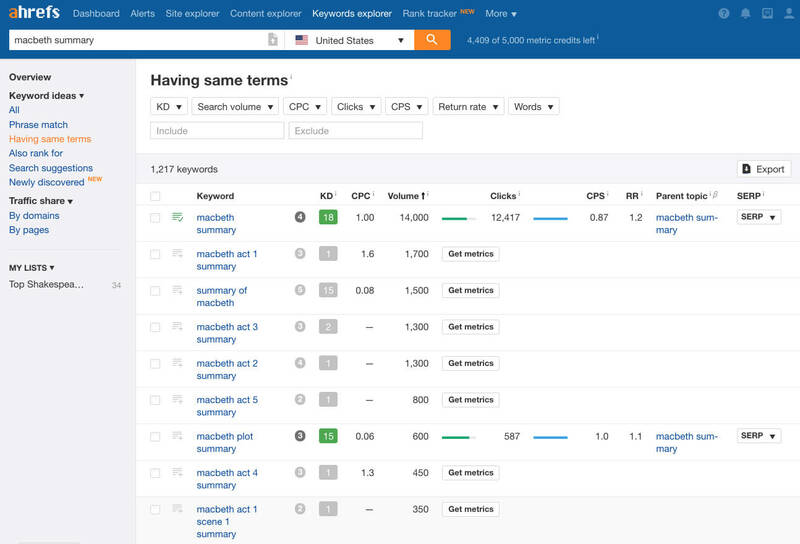 The “volume” column shows you how many times per month people search for that specific keyword. 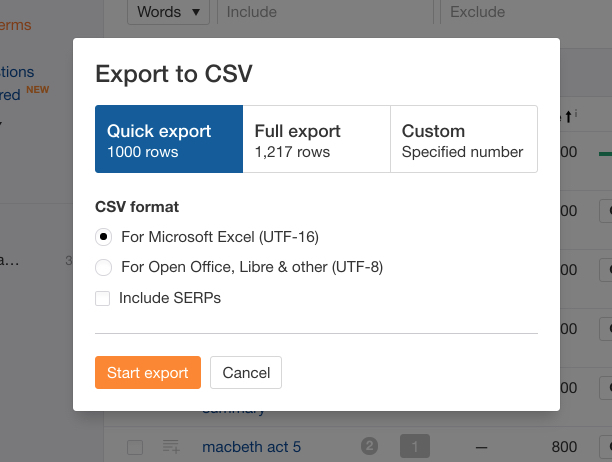 Pick only the keywords that have a volume of more than 1,000. Everything else is irrelevant. 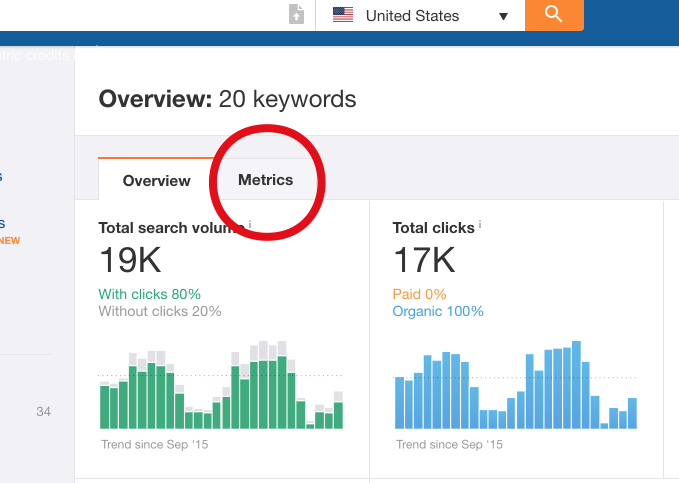 But what if you don’t have any keywords that have a 1k+ volume? Then go back to step one and try a different angle. Produce a bigger or broader list of keywords. 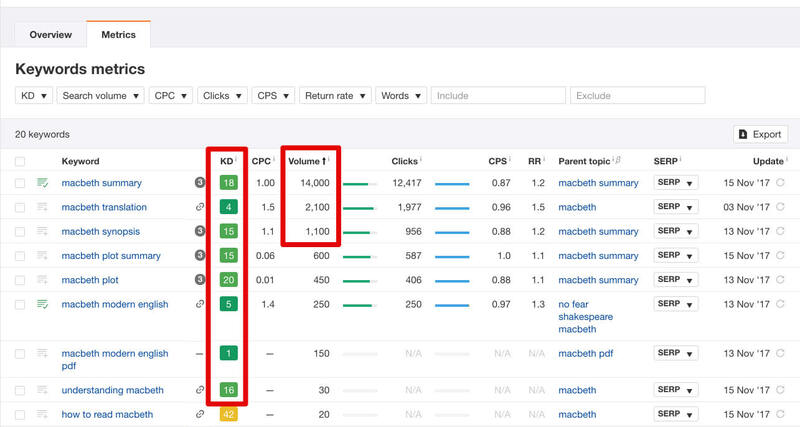 If you have a few keywords with a search volume of more than 1k, you’re ready for the second part of this step. 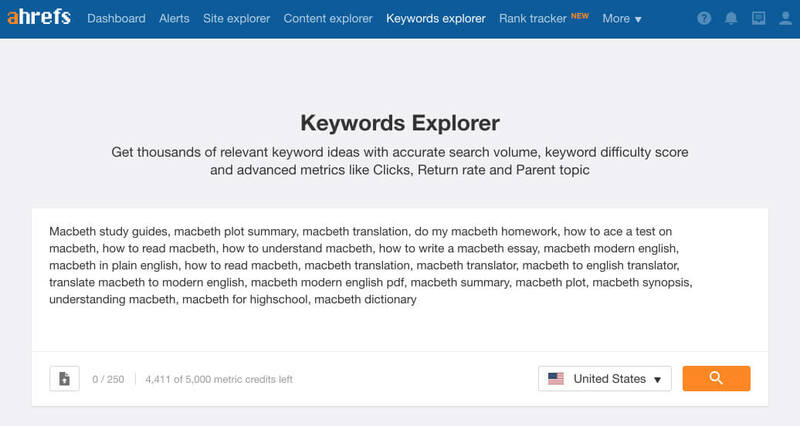 Find a keyword that has both a volume over 1k and a keyword difficulty below 20. 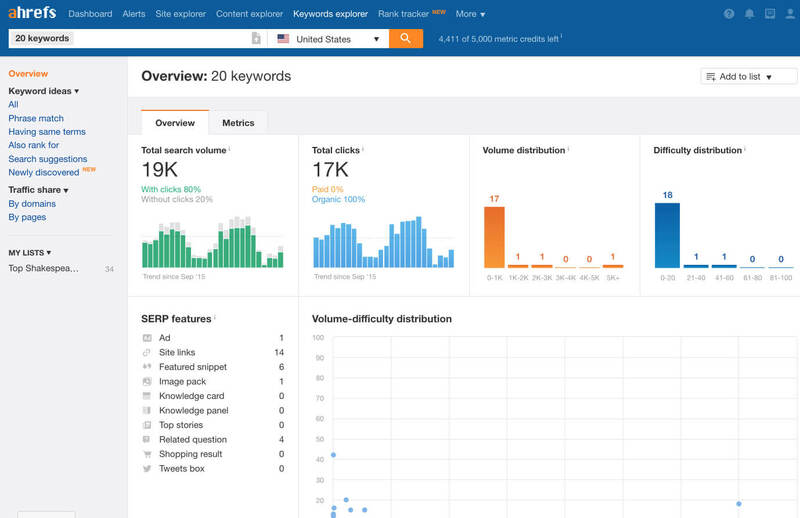 In the chart, Keyword difficulty is denoted by “KD.” According to Ahrefs, “it is an estimate of how hard it would be to rank in Top10 Google search results for a given keyword. 0 is easy. 100 is freaking hard. If you’re somewhere in the 0-20 range, you’re in the sweet spot. 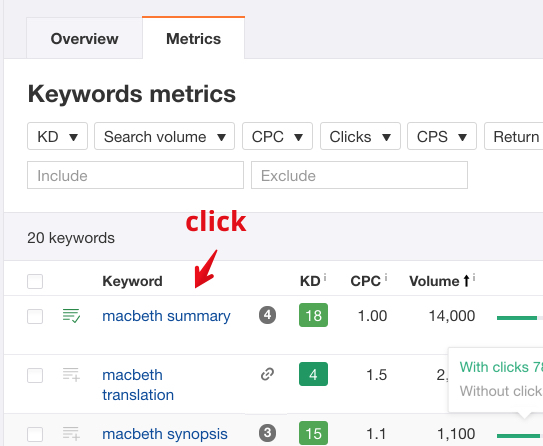 But what if I don’t have any keywords that have a keyword difficulty of less than 20? Start back at step 1, generate a new list and try again. If you have more than one option like I do above, then you can simply choose one. You must choose a keyword. Everything in the plan below is built upon this keyword. Based on this single keyword, you are going to blow the top off your web traffic and create a content piece that will position your website for success. 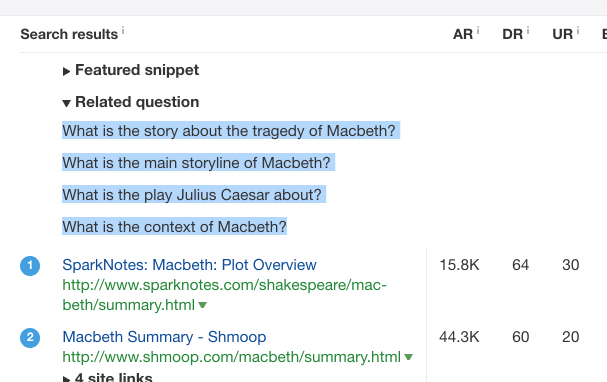 I’m going to choose “Macbeth summary.” Even though the keyword difficulty is a bit higher than the other two options, I also know that the traffic potential is more than five times greater. This method is so darn effective that I’m confident I’ll be able to rank in the top 10. Let’s go on to step 3. Overview: In this step, your article takes shape. 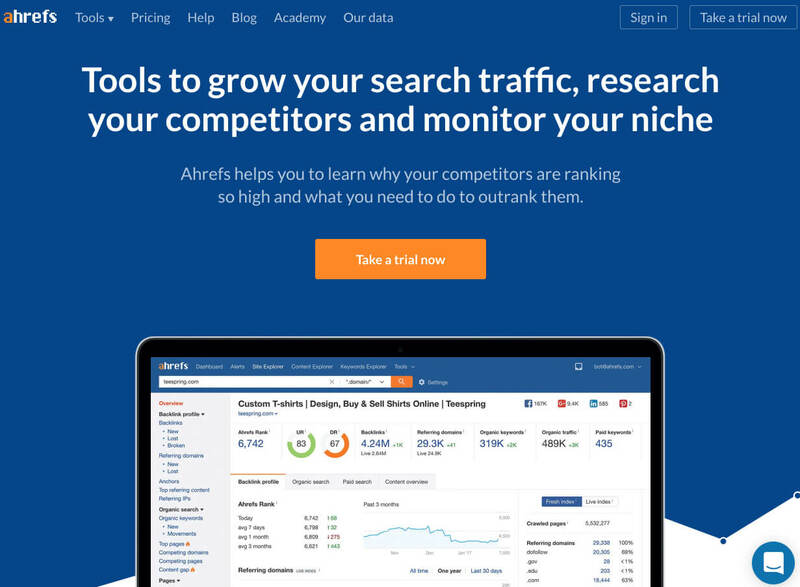 Using Ahrefs, you’ll figure out exactly what you need to include in the article, how many backlinks you need, and what kind of traffic you can expect. 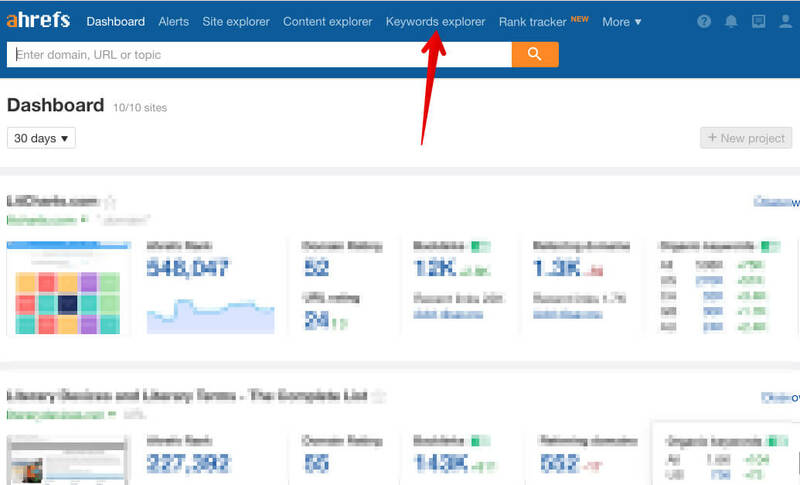 Still, in Ahrefs, click on your selected keyword. Take a look at the keyword difficulty gauge. Boom. This is valuable information. So, pull up a Google Drive document. Open up the file. Copy the top 20 keywords. Back to Ahrefs. Return to the keyword date page (click back on your browser), and scroll down to the SERP overview section. If your SERP overview contains “Related question,” click on it. Your article is basically writing itself. But there are several more important steps ahead. Overview: In this step, you will develop the framework for structuring your article. If you’re not a writer, you can get some help on this step. Other than giving you some high-level pointers, I’ll let you run with this step. Create a title that your audience will want to click on. No snoozers here. Aim for some excitement factor without going all clickbaity. Try to use some of the “keywords to include” in your main points. Eventually, these will turn into headings (i.e., H2s), so this is a strategic SEO angle. Don’t stress over the finer points of the article. However, you should know enough to draft a rough outline. Armed with this outline, you’re ready to dig in and do the incredibly important next step. Overview: Find the movers and shakers in your industry (maybe you already know about them) and make contact with them. You will ask them for help on your project. 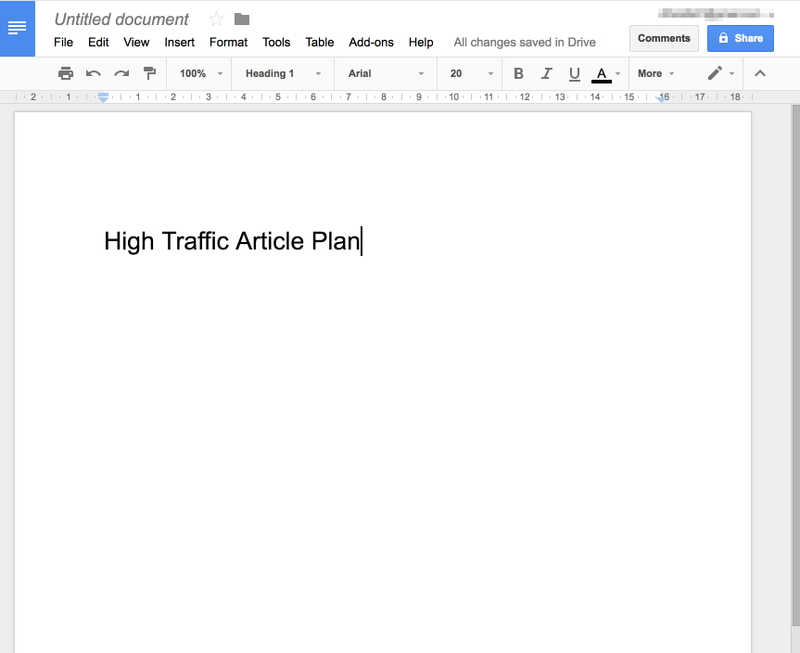 This step might feel tedious, but it’s going to be one of the most powerful actions in your traffic explosion plan. Of all the steps outlined in this article, this step has the most power to turn your article into a traffic-generating machine. You have control over how much power you’ll derive in this step. I’ll show you how to ratchet up the power below. 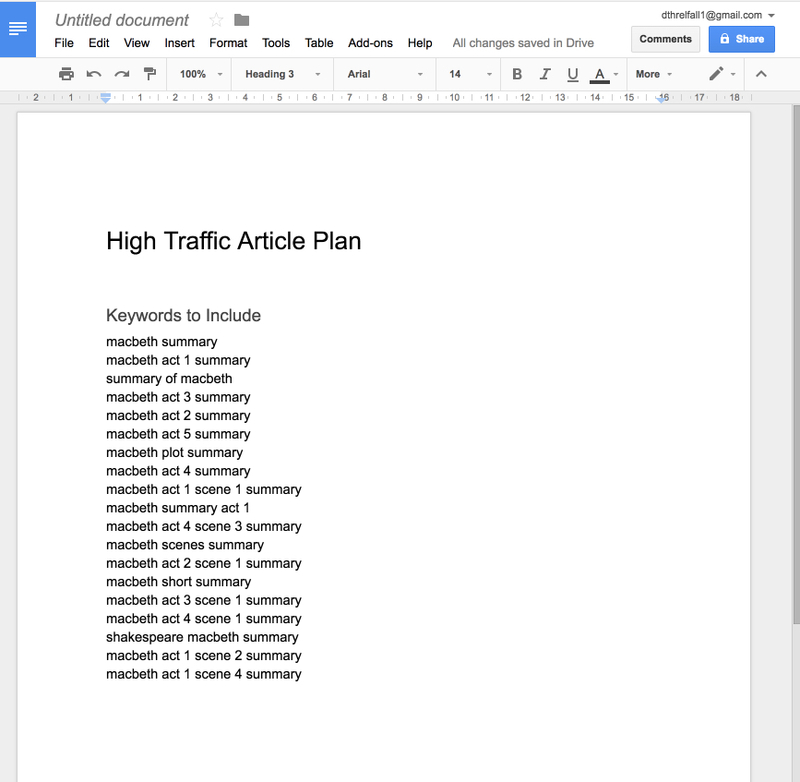 Remember how in our research above (step 3) we wrote down the number of backlinks you’ll need to rank? How are you going to create those backlinks? Where do they come from? They start with this step. You’re going to reach out to as many people as you can and ask for their help. Whose help do you want? 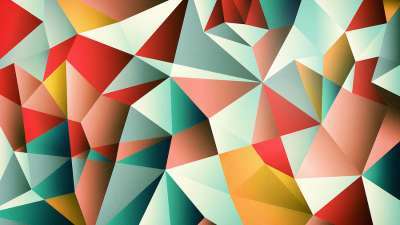 Ideally, you’re going after people who are in the same niche that you’re in. These aren’t competitors. They’re simply people who are knowledgeable and/or interested in what you’re writing about. You’re letting them know you exist. You’re establishing touch #1 (out of three that I’ll discuss). You’re asking them for a favor, which will make them likely to respond to your second ask (more on that later). How do you find such authorities in your niche? There are plenty of ways, but I’ll show you two that I like to use. One way is with Buzzsumo. 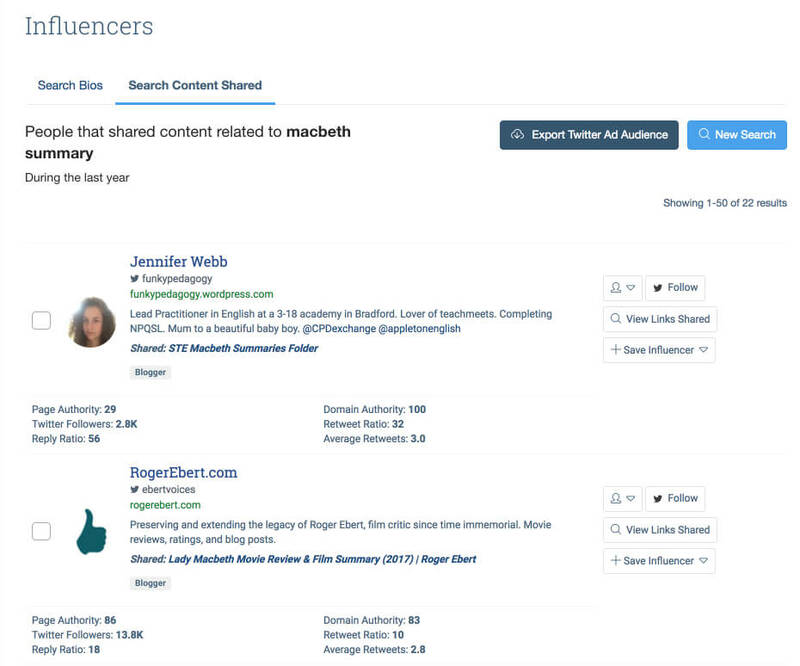 If you’re not using Buzzsumo, you’re missing out. If you want to sign up for a free trial, it could change your life. Once you log in, click “influencers” in the top menu. Ideally, this is a list of people who are likely to share content like you are about to create. Another quick-and-easy way of curating a list of influencers is through a simple Google search. Google your keyword plus blog. 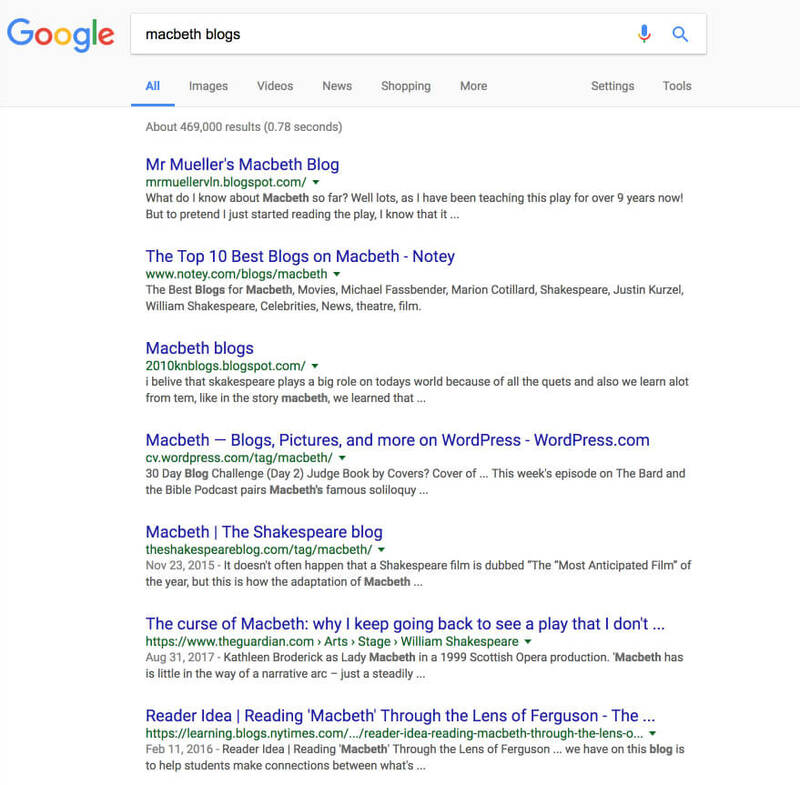 For my example, I search for “Macbeth blogs.” A search like this brings up a variety of likely candidates for outreach. Combing through the list and finding contact information can take some time, but it will pay off. Trust me. How many influencers should you reach out to? The cliche answer is as many as possible. And this is where you can ratchet up the power of this step. Simply put, the more people you reach out to, the more successful your article will be. Some of the most successful efforts I’ve spearheaded involved outreach to thousands of potential participants. I’ve hired small armies of assistants from Upwork to help with the workload. You haven’t gone to all this work only to play small on the most important step. Reach out to as many people as possible. Don’t second guess whom you’re reaching out to. Don’t vet their credentials. Don’t stalk them on Facebook. Just get their name, get their info, and make contact. What’s the minimum number of people you should reach out to? As an absolute basement number, I recommend that you reach out to four times as many influencers as the number of backlinks you need. Back in Step 2, I found out that I need 18 backlinks. Thus, at the very least, I should reach out to 72 influencers. Yes, that’s a lot of people and a lot of outreach time. But keep in mind that some people aren’t going to respond, some will forget, and some will deny your requests. The greater number of people you ask, the greater your chance of getting replies and eventual backlinks. Create a list of all the influencer you’ve identified and write down their contact information (email address, Twitter handle, LinkedIn, website contact form, etc.). Then, you’re going to ask them for a favor. You are going to ask for help on your project, the long-form article that you are writing. I noticed [reference their influence in the niche] and wanted to see if you could help me [reference the nature of your project]. I’m working on an article discussing [your selected topic]. What are your thoughts on [salient point about topic]? I’m reaching out to other authorities and influencers in the field and would be honored to share your insights when I publish the article. I will, of course, mention you by name and link to your website unless you prefer otherwise. Customize accordingly, and send away! Summary: This step is pretty straightforward. You’re going to create some epic content. As the responses from authorities trickle in, it’s time for you to channel your inner Hemingway and create an amazing work of art. The world is about to be introduced to the awesomeness that is your article. Obviously, I’m not going to tell you exactly what to say. However, I do want to provide a few handy insights that will give you the most mileage from this content. Use the keywords from the list you generated above. Don’t stuff the article with keywords, of course. Focus on giving value to the reader. Make the article a minimum of 5,000 words. No, not five hundred. Five thousand. If you just choked on your coffee, I’m sorry. Be reminded, this is an epic piece. It’s the best the interwebz has seen on the subject, and it needs to shine. Use images. Make it easy on the eyes (and brain). How many images? In five-thousand words, I’d go for a minimum of ten. Twenty or thirty is even better. Use plenty of subheadings and a few bullet point lists for good measure. Add quotes from influencers as they come in. Link out to at least 20 authoritative websites. Linking out is just as important as getting inbound links. Seek out some of the most influential websites in your industry, glean some value from them, and then link to them. The purpose of these links is to validate the trustworthiness of your content, furnish your readers with additional resources, and gain cocitation value from the links. Find relevant stuff on Harvard Business Review, The New York Times, or wherever else you can. Include your bio and contact information at the end of the article. When you create an article, you’re not simply posting great information. You’re also putting yourself out there as a founder, authority in the field, and influencer in the industry. By including information about yourself, you’re laying the foundation for even greater momentum from the article. Most importantly, just write some great content. Summary: In this step, you will publish your article. In releasing your article, however, your work is not done. Once you’ve hit “publish,” it’s time to get to work. You want to tell as many people about your article as possible. Go to all the obvious channels first. Share wherever else you are socially. Ask your team to do steps 1-6 above. If you have an email newsletter, share it there. Do several live broadcasts (Facebook, Instagram, etc.) to talk about your new article and point people to it. Wherever you have an audience, talk about the epic article you’ve just published. In the next step, we’re going to take this promotion thing to the next level. Summary: When you created your list of influencers in step 5, you were laying the groundwork for what is going to happen in step 8. You will use that list again to reach out to influencers and request an incredibly valuable favor. An email template for the influencers who provided feedback. An email template for the influencers who did not respond. In your initial round of outreach, you may have had bounced emails or invalid email addresses, in which case you can simply remove those from your list. Let me share a sample email you can send to both those who responded and who did not respond. Email template for the influencers who responded and provided feedback. Thank you very much for your valuable feedback. The information you gave me was instrumental in making my project successful. You can look at the article here. You’ll notice I linked to [mention the page on their website], and your Twitter profile. Would you please link to the article from your website? Also, I’d be honored if you would share the article on social media. Your followers may find it valuable. I reached out to you a week ago requesting some help on an article I was working on. I’d still love to hear from you. If you have something to share, I’ll update the article accordingly. Your social media followers may find value in the article. Would you be willing to share it? You can read the article here. Keep track of who responds to your email or shares your content. Allow a week to pass. After one week, reach out to those who haven’t responded or shared your article. Provide a polite “by way of reminder” email to make your request again. Don’t underestimate the potential impact of this step. There is a good chance that your article will reach a tipping point. As more influencers share your article, as more websites link to your article, and as more organic traffic reaches your article, it begins to take on a power of its own. Here are some of the most common advantages that articles like this will gain. Organic traffic for the article increases month over month. Inbound links build up even without outreach. Social shares climb even without outreach. Brand mentions increase even without outreach. A single well-placed, highly-leveraged article is all it takes. If you approached this article with some hesitation, I can understand why. But if you’ve read the article in its entirety, I’m sure you can envision the upside. This tactic is completely free. It does, of course, take time. It is time well spent. The investment of 1-2 weeks of preparation and writing can pay off. You will earn months of increasing traffic, inbound links, social shares, and thought leadership recognition. 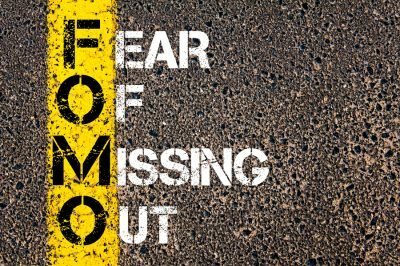 If you’re starting at a traffic level of zero, this tactic is guaranteed to jumpstart traffic and put your startup in a position of recognition within just two weeks. That’s definitely worth giving a try. Have you tried a technique like this in the past? What kind of successes or failures did you experience? Let me know in the comments.